Used Fire Trucks For Sale. 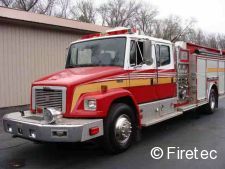 Firetec Apparatus Listings Updated Daily. 95' PLATFORM. Certified and ready to serve! 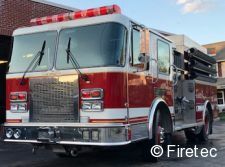 Text Fire Truck Ladies to be on wait list 802-431-6033 or consider listing # 12384 as a similar option! 75' LTI Platform w/ 1500 gpm and 500 poly tank. 2018 Aerial Cert. 75' Platform w/ 5" waterway. 2019 Certifications. PRICE REDUCED to $90,000!!! Crew cab, diesel/ auto, generator! 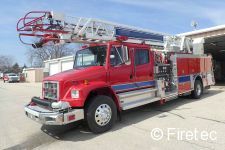 90' Platform on this 1995 Sutphen. Two Holmatro 100' electric rewind hose reels. LOOKING FOR FAST SALE and priced to move: MAKE OFFER! Walk in with lots of storage. 1988 Chevy w/ pump & roll, new tires. LOTS Of Recent Work, ready to go! 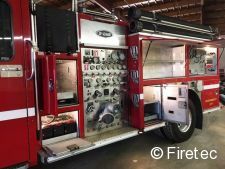 Also features 1000 gallon Poly tank and 1750 gpm pump: NICE! MUST SELL - OPEN TO OFFERS!!! 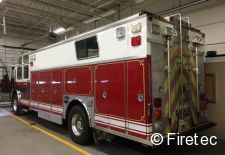 2004 Pierce - 1250/1000. Seller has invested in it in the last few years so you won't have to! 2000 Pierce Dash. 1500 gpm. Foam. 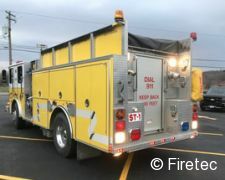 1500 gpm pumper w/ 1000 Poly tank. Foam, too! 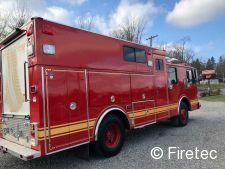 Excellent Rescue-Pumper w/lots of goodies! Large Poly tank & 2000 gal Portable tank! Low Miles: Click for what's included in this Sweet Deal! 1250 tank and rear dump! What are you waiting for? Only $19,900! 1000 gallons of water and 1250 pump on this Pierce Lance. Very low miles on this 1992 Engine! 1250 Waterous Pump and 1000 gallon tank. 18,000 miles. Under 12,000 miles! Good condition. 1000 poly tank. Only $15,000! 1250/1000 with top mount pump panel. Excellent condition. Under 20,000 miles. POLY TANK added in 2009! Low miles-- One Owner, all records available! Extensive work in 2015 including new pump! Make an offer- Must sell! 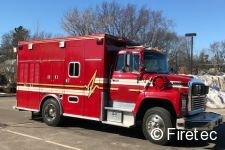 2005 Ambulance - Like new! Only 19,000 miles and CLEAN!